This dress is based on a woodcut printed in 1523 in Berlin. I’m made the dress on the far right with the double apron. The dress was finished July 1, 2012. In each new project, I try to advance my knowledge. 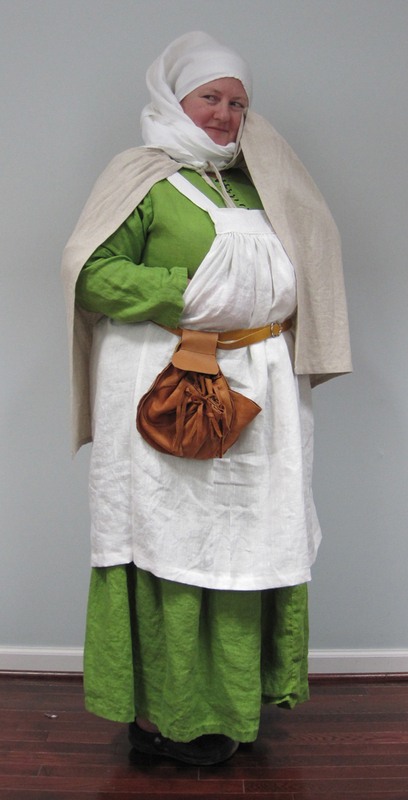 In this project, the new tasks included cutting a bodice with a higher neckline, making eyelets to lace up the front, and making a double apron. Otherwise, the construction of the dress was similar to the orange and blue dresses documented in previous dress diaries. The “cape” that I’m wearing is an apron. 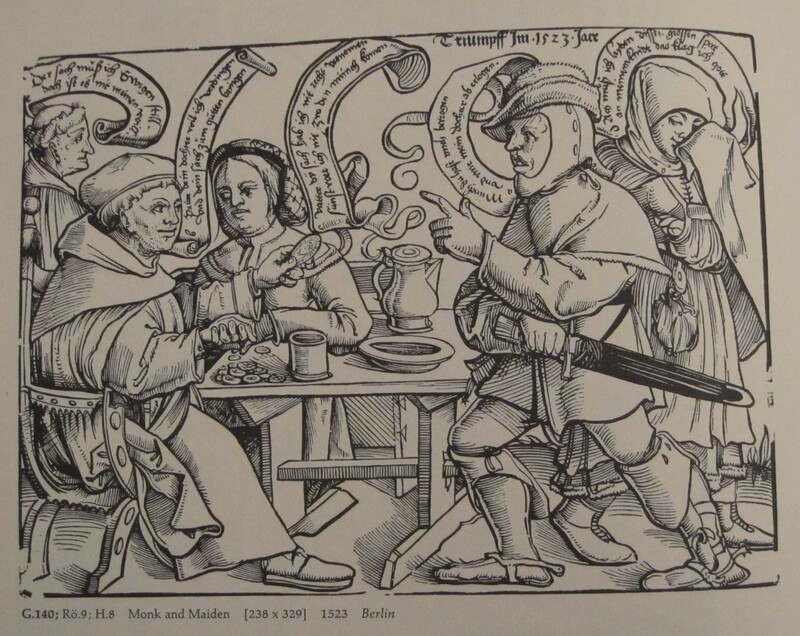 I threw it over my shoulders on evening because I was cold and when I walked by the mirror, I realized that it had a remarkable resemblance to the cape in the woodcut. Maesro Filipia Capriotti pointed out to me that most of the pictorial evidence shows blue capes. This is indeed true, but the chances that I’ll ever wear a cape at an event are slim. I’m fine with using the apron to complete the photograph. 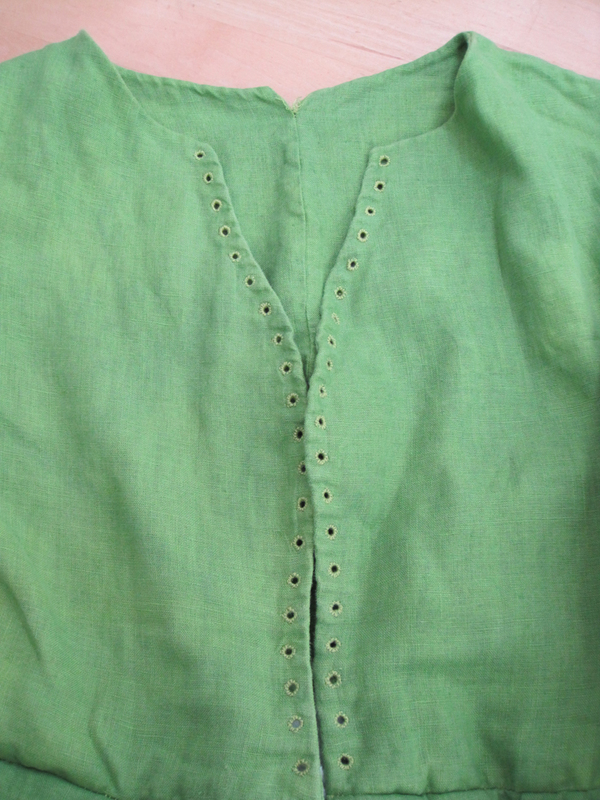 The primary difference between this dress and the previous common dresses is the high neckline and the handmade eyelets that lace up the front. 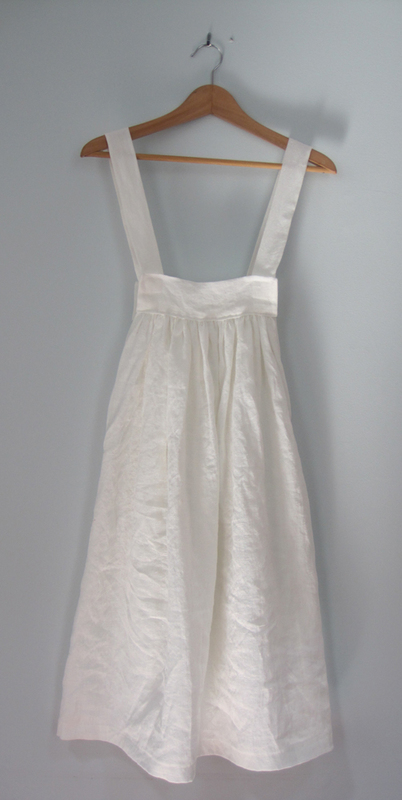 This is a double apron, which is hard to see on the hanger. 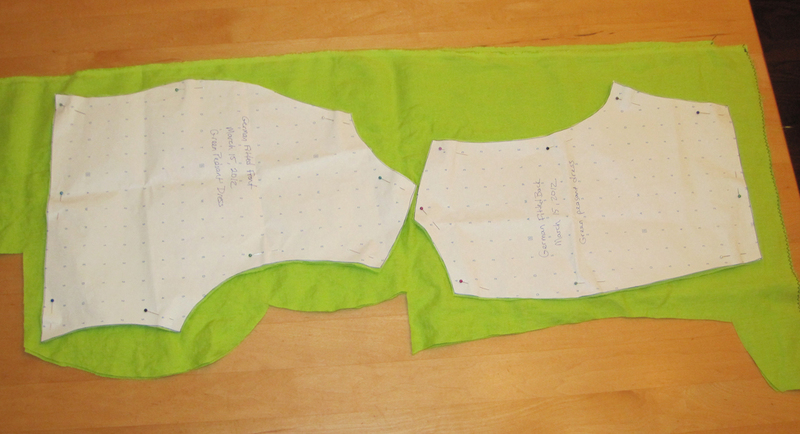 A double apron is new to my costuming repertoire. This is a better shot showing the front and back of the double apron. It is joined at the sides. If you make a double apron, I recommend that you use a heavier weight linen. 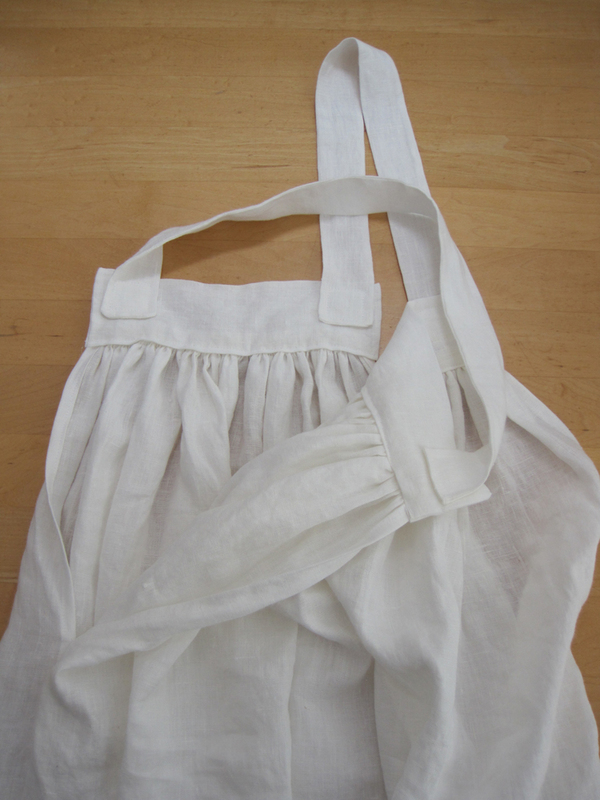 The first double apron that I made was made using handkerchief linen. Besides looking as fluffy as a tutu, I managed to tear it the first day I wore it. Heavy weight linen stands up much better. The inside attachment of the straps is a guess. I’m planning to write an entire class on double aprons sometime after October 2012. In that class, I’ll have more accurate examples.